This may be freshly off the needles. And I may have added a celebratory square to my knitted patchwork blanket, too. 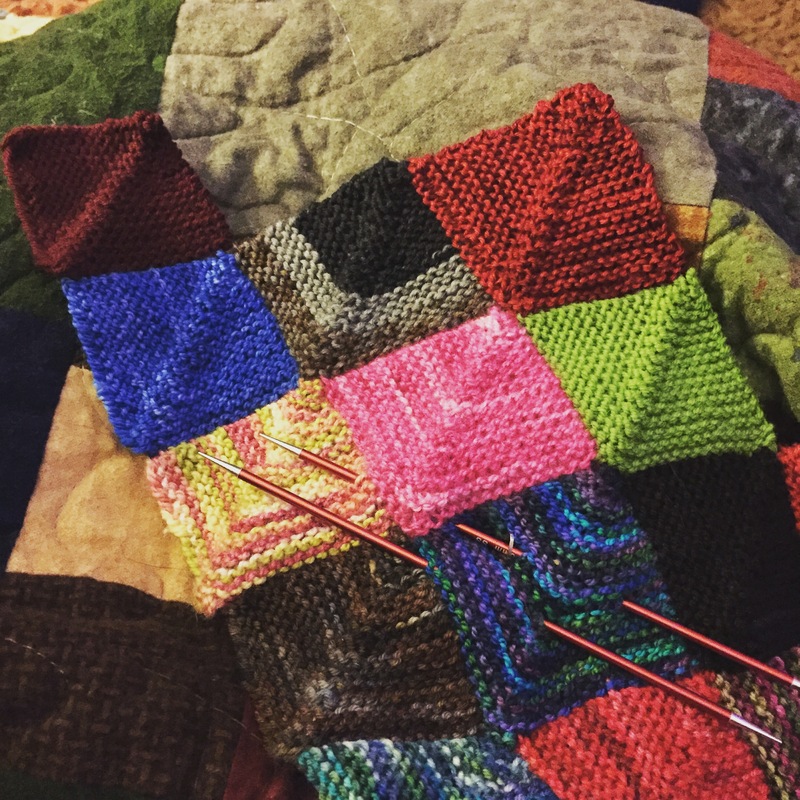 I love how the afghan with your Advent squares is coming along! AND those look like Signature needles – can it get any better? 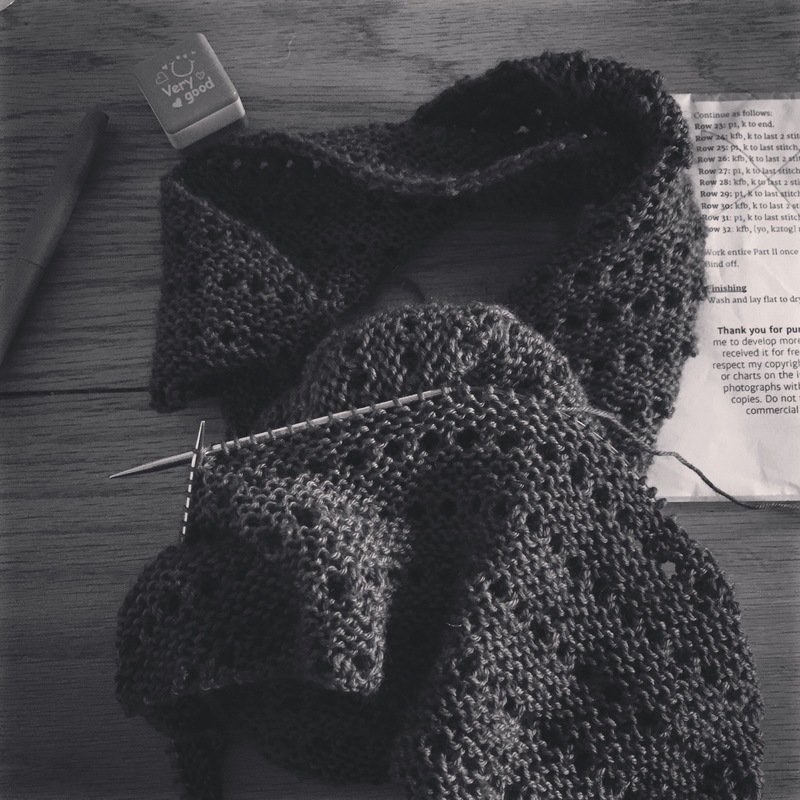 Can’t wait for the color version of what ‘might be’ off your needles! Looks like a fun pattern.